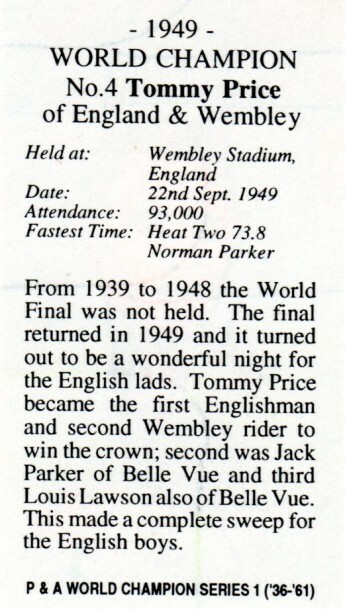 The Second World War came along. 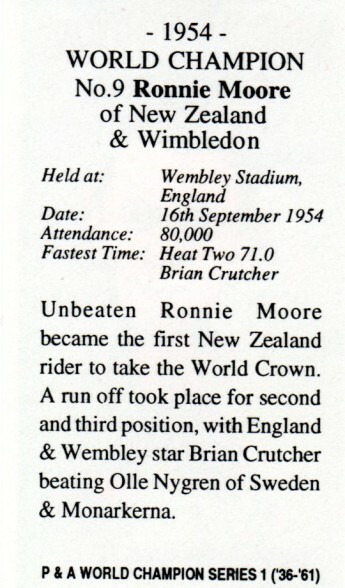 Hitler (obviously not a speedway fan) caused untold suffering to millions of people and he stopped our world championship and domestic speedway too. 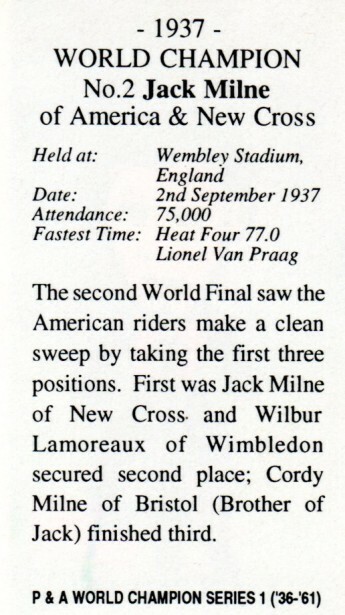 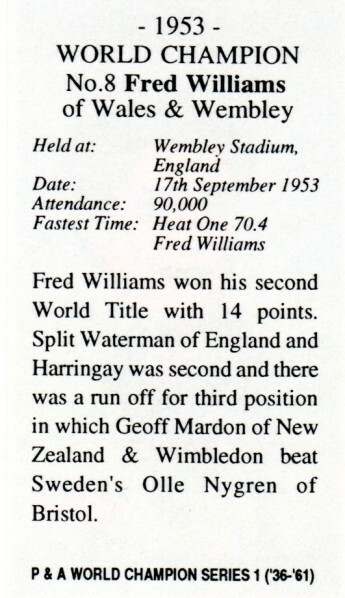 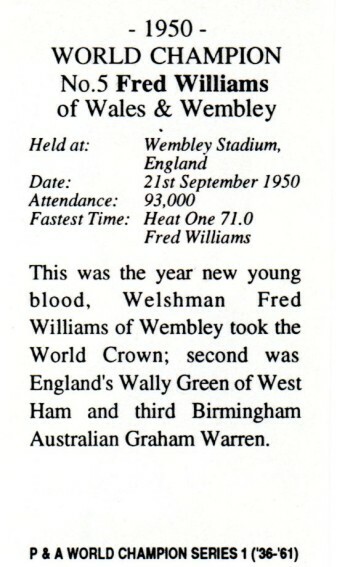 The War meant, no speedway world championships between 1939 and 1948 whilst everyone did more important things than riding around a speedway track!. 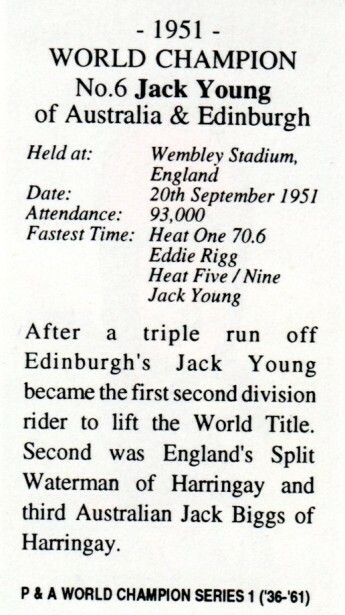 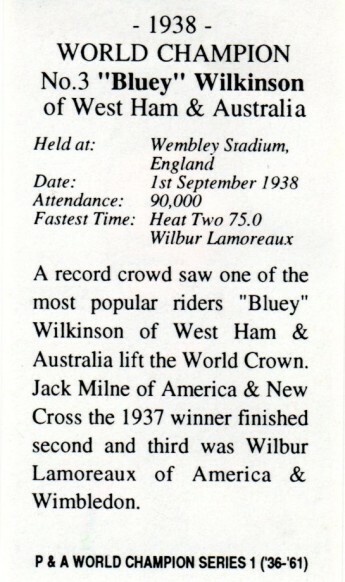 Jack had many fans as a double world champion should have! 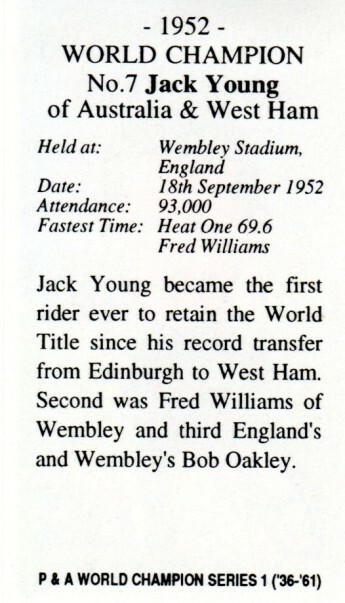 Ivan Mauger told me that Jack Young was his hero and he wanted to emulate Jack. 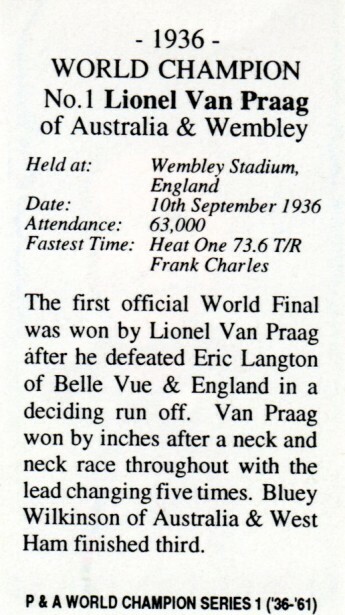 Well Ivan did that now didn't he? 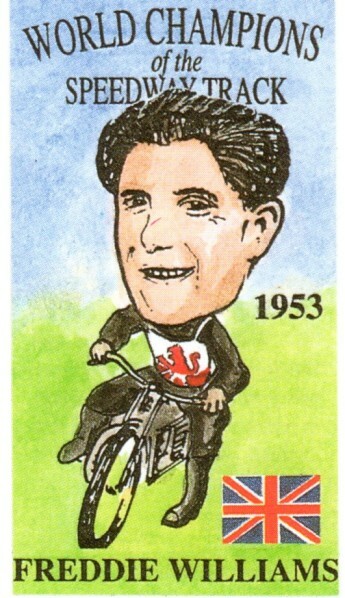 I think this artwork looks more like Gary Lineker than Ronnie Moore! 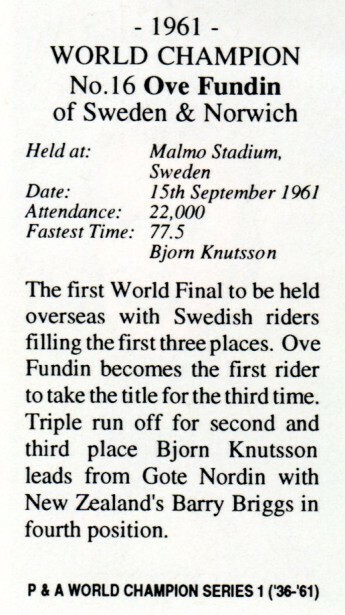 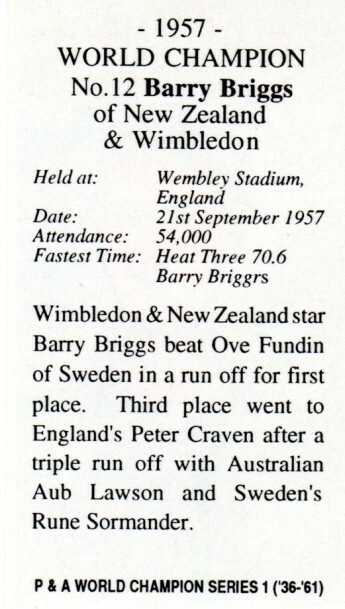 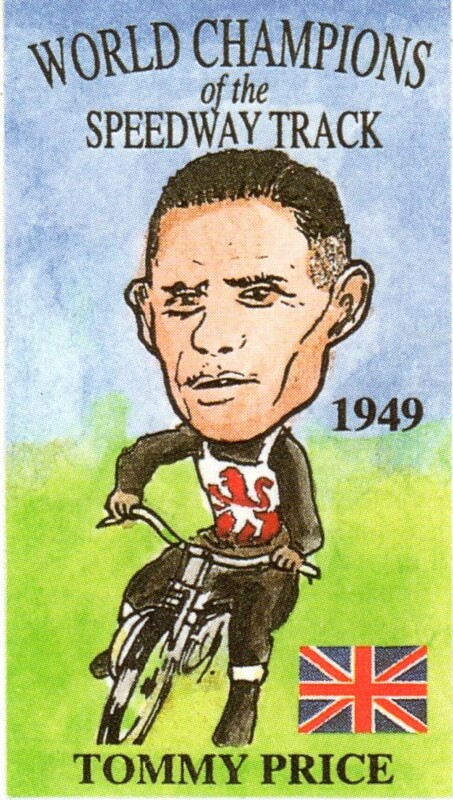 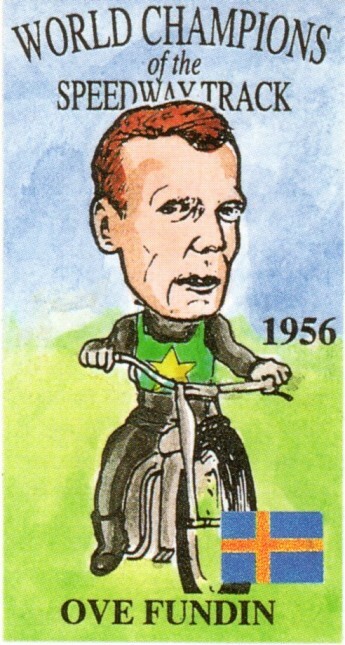 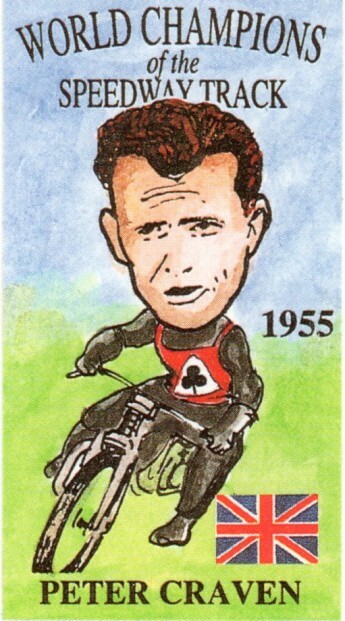 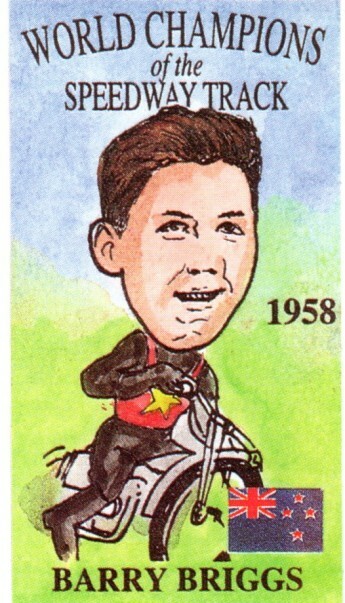 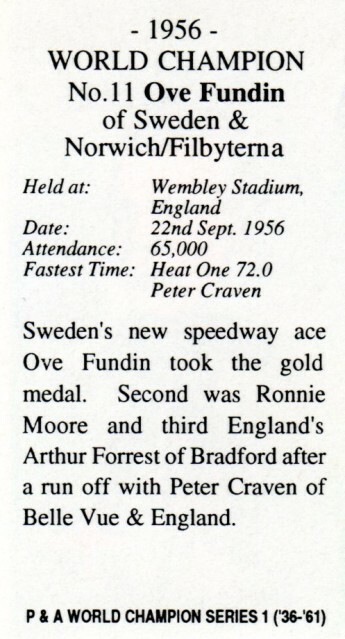 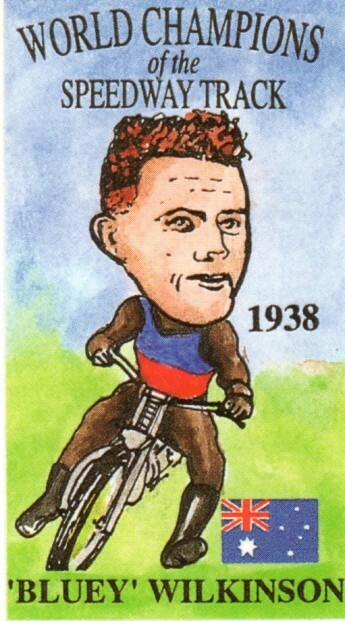 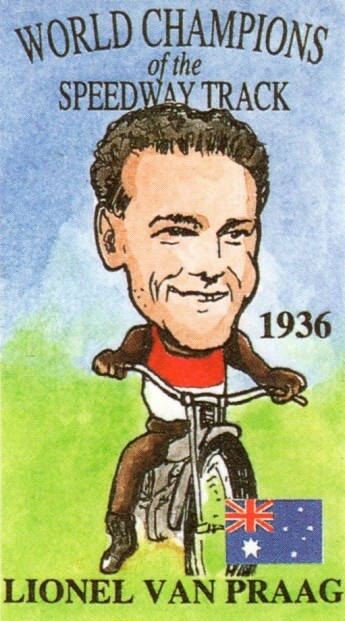 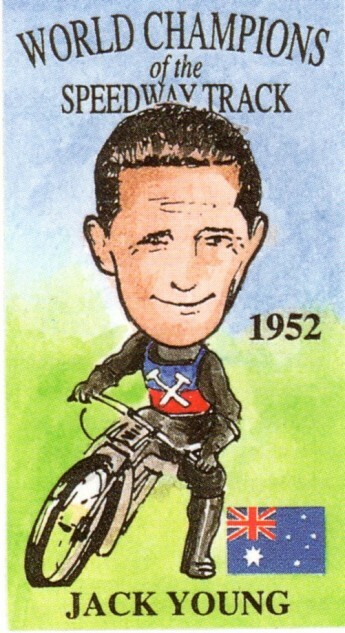 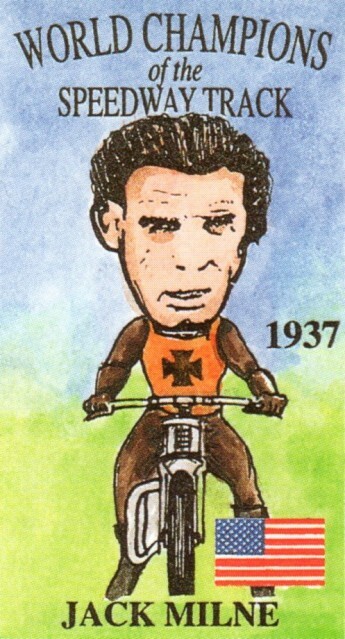 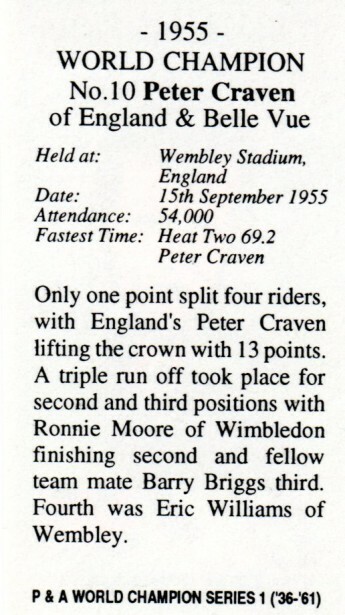 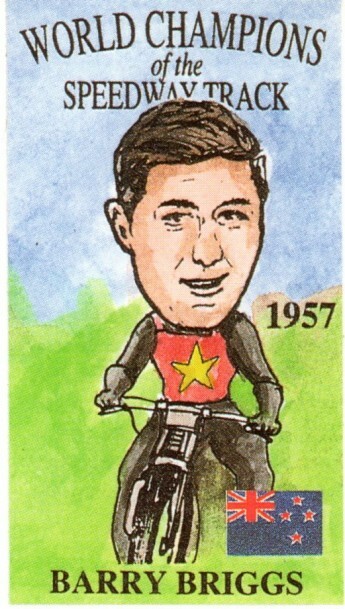 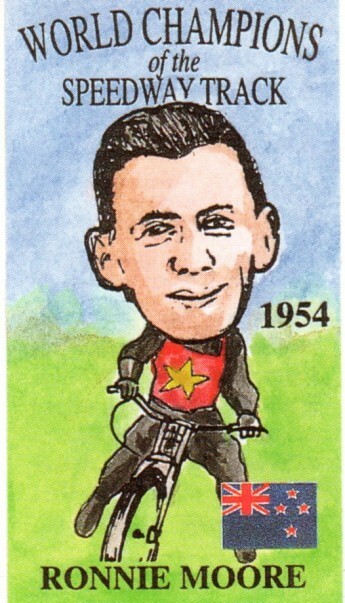 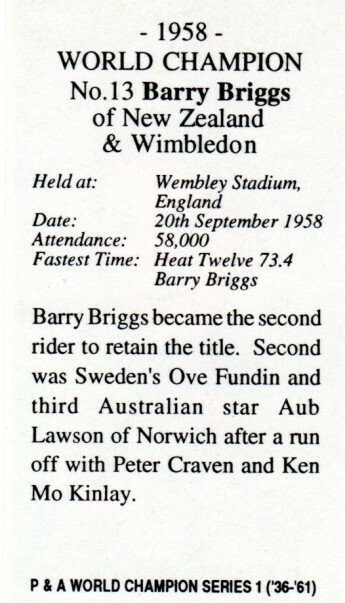 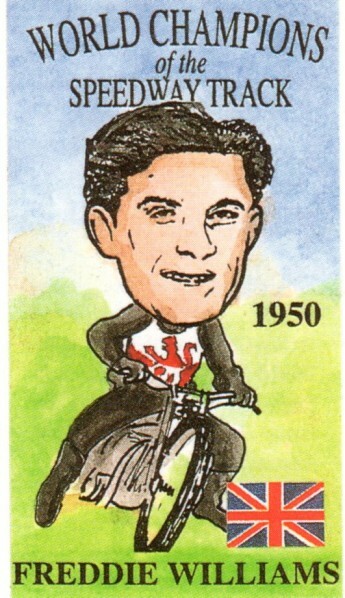 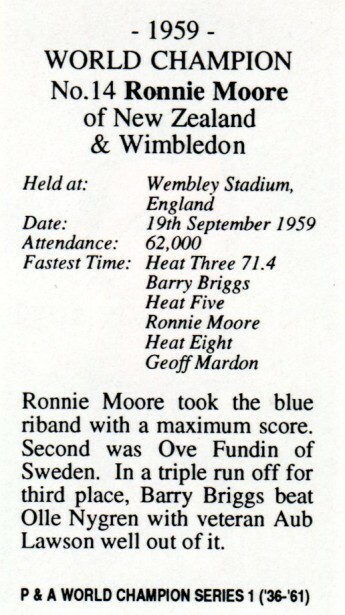 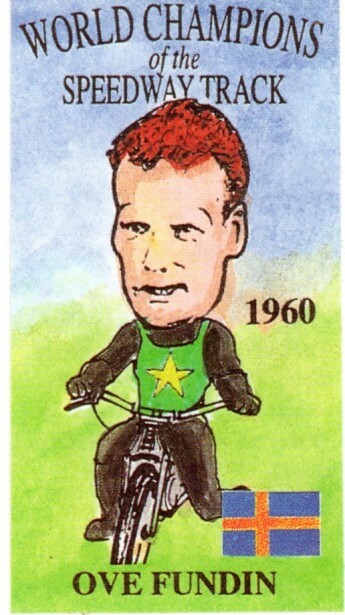 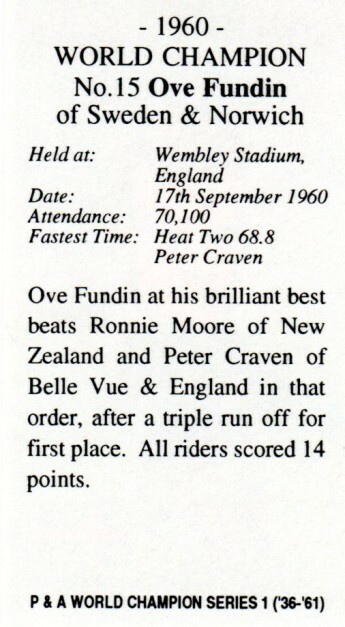 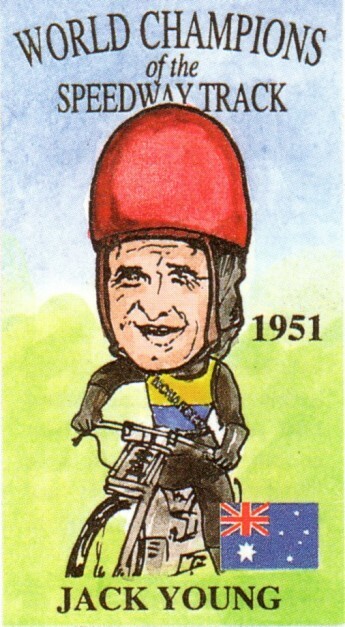 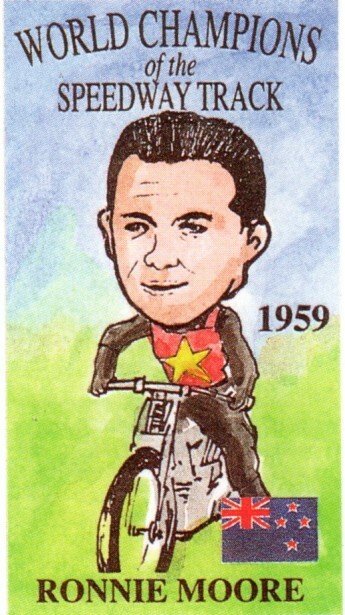 The card mentions an also ran Mo Kinlay in the 3rd place run off. 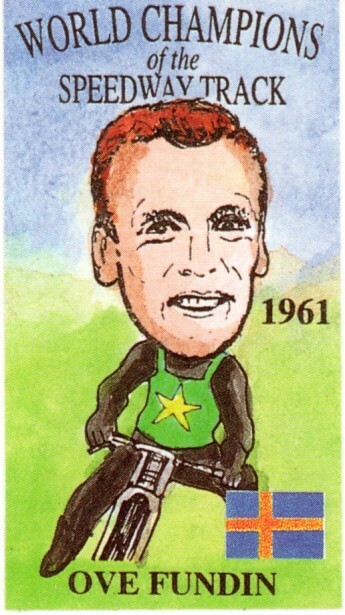 They meant Scotsman Ken McKinlay!